Six Gulf nations formally blacklist Lebanese Iran-proxy, in sign of Sunni states grouping against Iran axis. 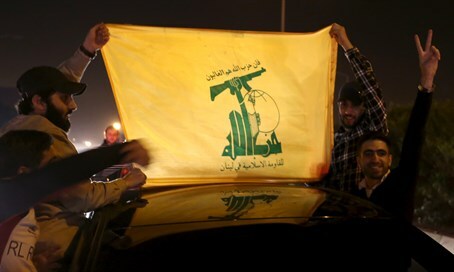 Six Gulf nations led by Saudi Arabia on Wednesday formally declared the Lebanese Iran-proxy Hezbollah as a terrorist organization. A statement by the Gulf Cooperation Council (GCC) stated the declaration is being made due to hostile acts by the Shi'ite terrorist group within its member states, reports Associated Press. Those hostile acts were listed as including attempts to recruit new terrorists within the GCC, as well as smuggling weapons and explosives. Aside from Saudi Arabia, the GCC is comprised of the United Arab Emirates, Kuwait, Qatar, Bahrain and Oman. The new move would appear to be a sign of the Sunni Gulf states further coalescing against the Shi'ite Iran axis, as tensions remain high between the rival states. Those tensions are particularly taut in light of the Iran nuclear deal last year that has reportedly already started a nuclear arms race, as the Gulf states rush to catch up. Hezbollah has long conducted terrorist attacks, including many against Israel, and in Lebanon it holds great political power. It currently is fighting for Iran in Syria to prop up the regime of Bashar al-Assad, and maintain Iran's regional aspirations.